* Gigerenzer, G. & Goldstein, D. G. (1999). Betting on one good reason: The Take The Best heuristic. In Gigerenzer, G., Todd, P. M. & the ABC Research Group, Simple Heuristics That Make Us Smart. New York: Oxford University Press. * Dawes, R. M. The robust beauty of improper linear models in decision making. American Psychologist, 1979, 34, 571-582. * Mr. Franklin: A Selection from His Personal Letters. Contributors: Whitfield J. Bell Jr., editor, Franklin, author, Leonard W. Labaree, editor. Publisher: Yale University Press: New Haven, CT 1956. Another difference is that Dawes had human experts determine the direction of a cue– a positive or negative unit weight– while the later papers used the data to determine direction (specifically cue validity > 0.5 meant a positive weight). – Finally, weighing the Cons, or Risks, in how they ‘cancel out’ the Pros might make sense, but only if they are causally linked. If the Con of ‘this model of car tends to break down a lot’ cancels out the Pro of ‘excellent warranty coverage’, that’s one thing. But we feel you can get further with Risks by looking at their Probability and their Seriousness separately, since one will bias you toward Preventive Actions, to remove the threat, and the other toward Contingent Actions, which may mute its impact, giving you a more balanced risk management attack. … or you could just use this site where Ben Franklin’s method is implemented online. Example: Have a title labeled RULES and them list them in bullet point. 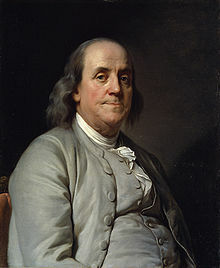 Benjamin Franklin’s rule for decision making was written on August 18, 2012 and filed in Encyclopedia,Ideas,Tools.